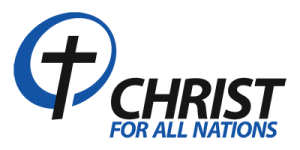 Christ for all Nations is a Church where you can come to know God and grow in faith, hope and love. We place great emphasis on family and relationships, which is why small groups are a part of our ministry. We believe and practice the great commandments given by Jesus, to love God and love people, that is our goal. We have weekly services and many kinds of events but we believe that Church is so much more than just programs. The Church is made up of real people and not just buildings. Church is a lifestyle, a spiritual community that we are a part of everyday. Jesus compares His Church to a living body that is full of life. As a result the official aspects of ministry are not just traditions but an exciting responsibility and opportunity. We gather regularly to celebrate the great things God is doing in each of our lives. We believe life is a gift but that true life both here on earth and in heaven is found in God’s Word the Bible. That’s why we encourage all people not to just try religion but to encounter and know Jesus the Christ. Our hearts desire is to see multitudes of people from all nations saved in the Chicagoland area and further on to the ends of the earth. Our community is packed with excitement and life. We believe that God’s power to save, heal, set free, prosper and restore is real today.